We are proud to partner with Harvard Ph.D candidate Seth Powell, to offer you access to Yogic Studies - An educational platform dedicated to providing the highest quality and most cutting-edge online courses and trainings—in yoga history, philosophy, and Sanskrit language—for yoga teachers and students around the world. Join us, along with students across the globe, on a journey into Yoga beyond the mat…. Explore the rich and multifaceted roots of yoga's past in premodern India. Uncover the incredible ways yoga has changed, innovated, and been adopted by millions of practitioners across space and time. 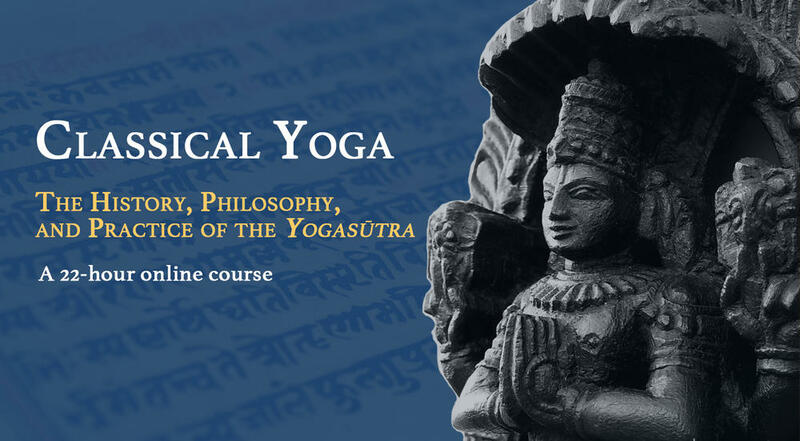 Go beyond asana and study yogic philosophy through an immersion into classical Sanskrit texts. Uncover the theory behind the practice in texts such as the Yogasutra, Bhagavadgita, Hathapradipika, and more. Open new worlds by studying Sanskrit, the classical language of yoga. Improve your pronunciation, build your yogic vocabulary, and begin to read Sanskrit yoga treatises in their original language. Looking to deepen your study of yoga philosophy? Would you like to read and study the Bhagavad Gītā in a formal way, together with a group of yogis from around the world? Join Seth Powell, PhD Candidate at Harvard University, and a global cohort of students, for this exciting opportunity to dive deep into the timeless wisdom and teachings of theBhagavad Gītā. 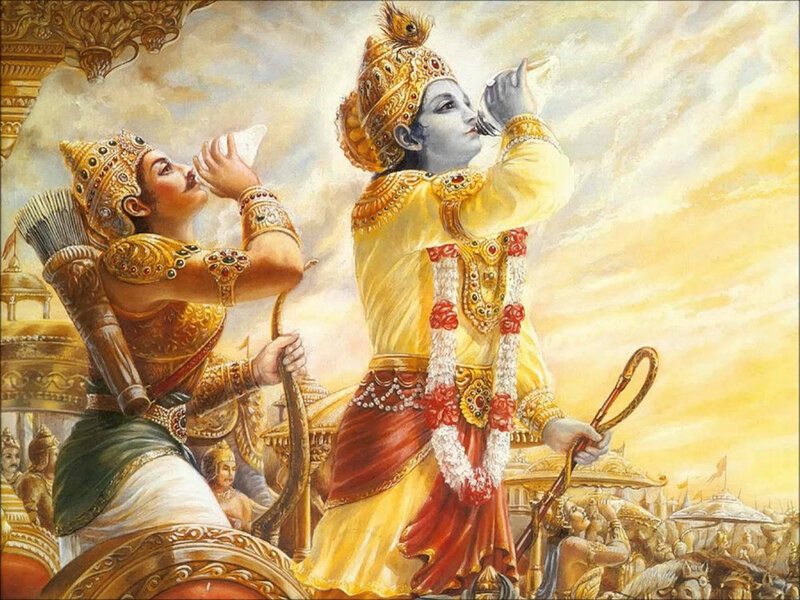 This new 7-week online course will provide you with an in-depth immersion into the history, philosophy, and theology of the Gītā. Through live video lectures, intimate Q&A sessions, readings, and quizzes, together we will immerse into a close and thorough study of one of yoga’s most ancient, important, and mis-understood scriptures! This online course will provide an accessible and reliable introduction to the Sanskrit language—aimed especially at yoga teachers and practitioners. Immerse in the rich history and practice of one of the world's most ancient, sacred, and continuously used languages. This course will provide a primer on the basics of Sanskrit grammar, pronunciation, and syntax. Students will learn how to effectively pronounce yogic terminology, sutras, and slokas, by learning the common transliteration schema and diacritic marks. No prior experience or language-learning is required. In this foundational course, you will be guided through some of the latest and most exciting research in yoga studies—illuminating yoga’s past and present. Along the way, we will debunk common misperceptions about yoga’s antiquity and uncover the incredible ways yoga has changed, innovated, and been adopted by millions of practitioners over the past 2,500+ years! Now set up for self-study. Enroll anytime, and receive immediate access to all six modules! Dive deep into classical yoga philosophy through an immersive study of one of yoga's most important and mis-understood Sanskrit texts, the Yogasutra of Patanjali. Placing the YS within its historical and philosophical context, this course invites students on an accessible and illuminating textual journey, guiding participants through a close reading of the Sutras, one Sanskrit word at a time. Now set up for self-study. Enroll anytime, and receive immediate access to all seven modules! Seth Powell is a longtime practitioner of yoga and a scholar of Indian religions, Sanskrit, and yoga traditions. He is currently a PhD Candidate in South Asian Religions at Harvard University. His research focuses on the history, theory, and practice of medieval and early modern Sanskrit yoga texts and traditions, as well as their intersections with the culture and practice of modern transnational yoga. Seth also holds degrees in the study of religion from the University of Washington (MA) and Humboldt State University (BA). In addition to his academic pursuits, Seth has spent much of the past decade “on the mat” in the American yoga studio culture, engaging in a variety of forms of modern postural yoga. Beginning in 2010, Seth has spent extended periods abroad studying with teachers and traditional yogīs in India, as well as conducting doctoral field work and research into the textual and material cultural history of yoga. He is an Experience Registered Yoga Teacher (E-RYT 200) and Yoga Alliance Continued Educational Provider (YACEP). As a scholar-practitioner, Seth is gifted in his ability to present the ancient teachings of yoga clearly in an accessible, light-hearted, and inspiring manner—while maintaining a rigor and sensitivity to traditional Indian knowledge systems. Seth conducts online courses and lectures regularly on the history and philosophy of yoga at studios, teacher trainings, and universities around the country. All courses and trainings with Seth are eligible for Continued Education (CE) credit hours with Yoga Alliance.